Most companies like to provide a pleasant working environment for their employees. Of course we all want a motivated and happy workforce. So how can a vending machine help? A central vending machine offers your employees the convenience of grabbing a snack or drink whenever it suits them. If you don’t provide the refreshments, the chances are your workforce will pop out of the office to get their own drinks and snacks throughout the day. Leaving an office, queuing, being served, then returning from a coffee shop can take up to 20 minutes at a time. A visit to a vending machine will get an employee back to work again with less time lost. It is also far more convenient and cheaper for your staff to be able to get any drinks and snacks from a vending machine, than having to leave the workplace on a daily basis. We all know that we are supposed to take short breaks in our work in order to be more productive. Snacks and drinks can act as a pick-me-up that can revive flagging spirits. The occasional short break to enjoy a snack can also boost productivity. Most studies into workplace drinks have shown that they can be great for reducing stress, recharging batteries and putting workers in a positive frame of mind. Overall it can help to improve the satisfaction levels of the staff, making them more alert, motivated, and productive during the working day. A vending machine can often be a central hub for office workers to socialise and take a break, creating a more relaxed working environment. The mood in the workplace impacts staff morale and motivation. Overall communication can be improved in the workplace thanks to a vending machine. When an employer makes sure their staff’s basic needs are within easy reach, it can be a big morale booster. Employees like to feel cared for and a vending machine can achieve improved employee satisfaction levels, by providing your staff with the drinks and snacks they need to get through the working day. A cared-for workforce is a happy workforce! Your establishment can earn money through the sale of drinks and snacks. We have some amazing offers and we can help you optimise the earning potential of your machines. The facilities can end up paying for themselves and then generating much needed revenue for your place of work. It is important to keep your staff hydrated and their energy levels high. When employees are satisfied, they’re more productive. When you have a healthy workforce, they take less time off of work due to health issues. The health and wellness of your staff can impact the success of your business through improved productivity and reduced absenteeism. The UK alone loses 105 million working days each year due to stress, costing UK employers £1.24bn!! It is important to encourage your employees to take a break and recharge their batteries. Making good food choices during the workday can make a positive difference on productivity, performance, mood and morale. 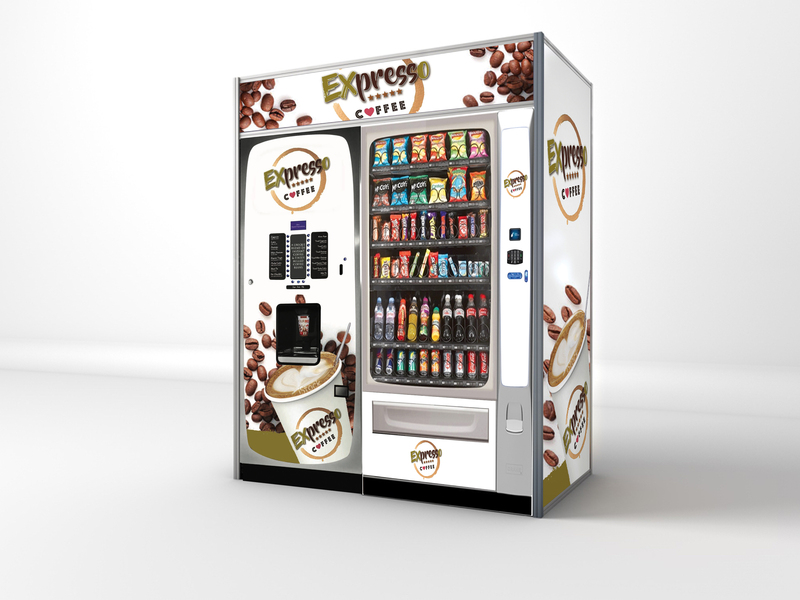 From staff motivation to employee productivity, we can’t think of reason not to install a vending machine in your place of work! If you’d like to find out more, then please get in touch. You can view a selection of our snack vending machines here. ⟵What’s your priority in your place of work?